Apple's Vice President of Retail Jerry McDougal reportedly left the company last Friday, winnowing down the number of candidates who could replace recently ousted retail chief John Browett. Citing sources familiar with McDougal's resignation, IfoAppleStore reports that the VP wanted to spend more time with family and stresses his departure was not work related. 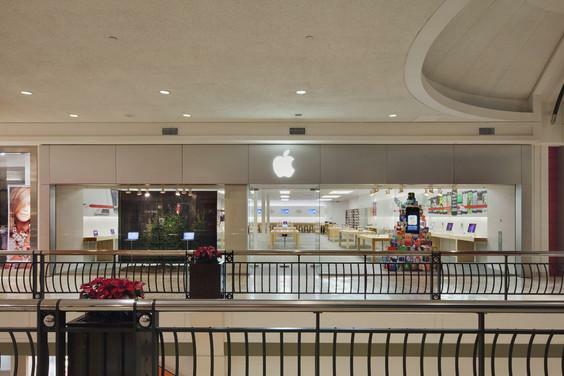 Tuesday's news is another page in Apple retail's tumultuous recent history, which began when former SVP and creator of the Apple Store Ron Johnson leaving the company in late 2011 to become CEO of JC Penney. As there was no replacement in line at the time, McDougal was considered to be a prime candidate for the job, but Apple chief executive Tim Cook selected former Dixon's CEO John Browett to head the division instead. Browett was subsequently forced out in October 2012 following a brief tenure marred by with controversy. With Browett gone, Apple is continuing its search for a suitable replacement and speculation points to VP of Retail Real Estate and Development Bob Bridger or VP of Retail Steve Cano, both veteran employees at Apple. McDougal started out at IBM and moved to PC Connection in 1999. He was recruited by Johnson in 2000, one year before the first Apple Store opened, to head retail marketing, product merchandising, store operations, loss prevention and customer loyalty programs.